Kojagari Lakshmi Puja, also known as Kojagori Lokkhi Puja, is dedicated to Goddess Laxmi and is observed in Bengal, Orissa, and other parts of eastern India and also in some regions in western India. Kojagari Lakshmi Puja 2019 date is October 13 in Bengal. The puja is also popularly known as Bengali Laxmi Puja. Special method, or paddhati, is followed for the puja in eastern parts of India. It is observed on the Purnima (full moon day) after Durga Puja. In Hinduism, Goddess Lakshmi symbolizes prosperity and wealth and it is believed that on Kojagiri Poornima night in Aashin month she visits the homes of devotees and blesses them. 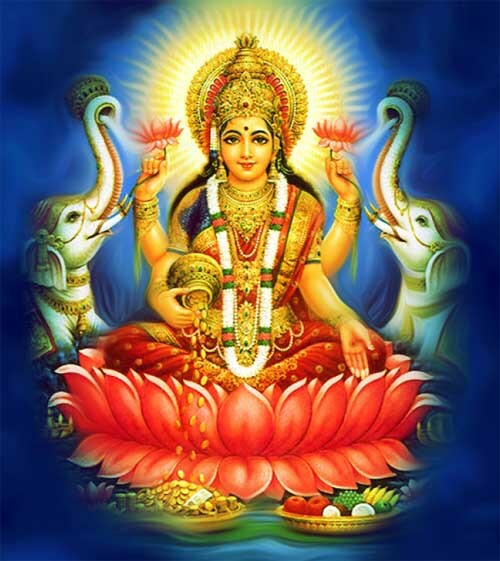 Therefore special Lakshmi Puja is held in the evening on the day in homes. On the day women draw Alpana patterns (something similar to Rangoli) at homes. Most preferred Alpana is that of Goddess Lakshmi’s feet. In Bengal and other parts of Eastern India, Goddess Lakshmi is believed to be the daughter of Goddess Durga. Small clay idols of Goddess Lakshmi are installed in many households and in pandals of in most places. The rituals associated with Lakshmi puja varies locally and is also different for different communities. The pandals which were erected for Durga Puja also conduct the traditional Lakshmi Puja. Elaborate traditional Lakshmi Pujas, which needs the help of a priest or elderly person, are conducted on the day by communities and organizations. The long list of puja articles includes oil, turmeric, soil from the River Ganga, grains, durva grass, flowers, and a great many other items. Markets are filled with special Lakshmi Puja items and these items are only available mostly during this period. Today, many people also perform a simple Kojagari Lakshmi Puja on the day sticking to the main traditions. Special kit required for the puja are available during the period. Special vegetarian dishes – khichuri, naru, narkel bhaja, chirey and taaler phopol – and sweets are made and offered to the goddess along with fresh fruits. In North India, Lakshmi Puja is held during Diwali. The first full moon day after the monsoon season is of great importance in west, north and eastern parts of India. Numerous rituals are observed on the day. Sharad Purnima dedicated to the Ras Lila of Sri Krishna is observed on the day in North India.